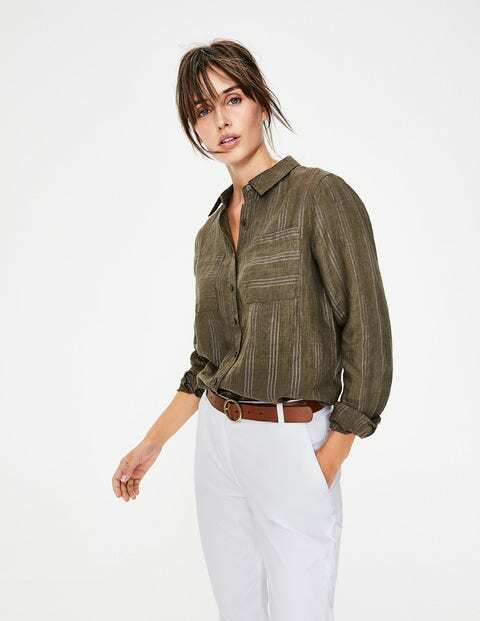 Meet The Linen Shirt: your relaxed wardrobe staple in a lightweight fabric for a breezy fit. Washed for extra softness, it features double patch pockets, a dipped back hem and an inverted back pleat. Look to the embroidered, lurex stripe or fil coupé for a textured finish. Choose either a regular or longer length and then tuck into chinos for a book-smart look or team with your jeans for laid-back chic.